Home » Amazing trick to match knockdown texture on a ceiling repair! 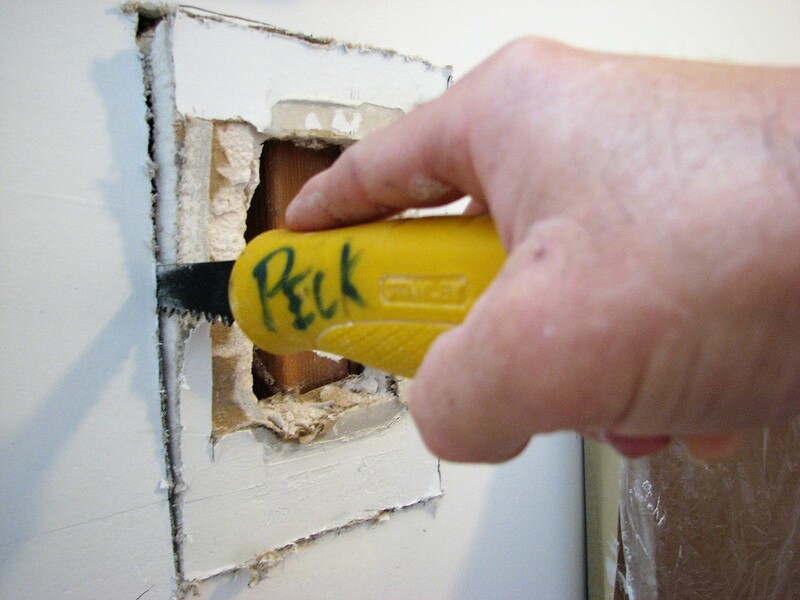 Contractor tips and DIY tricks! In today’s video: Amazing trick to match knockdown texture on a ceiling repair! I’m going to show you how to match knockdown texture on a ceiling repair with the knockdown texture sponge. After I repaired the failing tape joint at the giant vaulted ceiling drywall seam, I was ready to apply an all purpose joint compound to match the knockdown texture on this drywall tape repair using the knockdown texture sponge by the Texture Master, a 6″ drywall taping knife, 14″ mud pan and a 24″ acrylic knockdown paddle. I was able to pretty much perfectly match the knockdown texture without have to use a hopper or specialty texture rig. Watch the whole video below for yourself and see the amazing results. This diy knockdown texture repair tool is perfect for matching a wall or ceiling repair for a do it yourself’er. Watch the entire >Amazing trick to match knockdown texture on a ceiling repair! Let me know if you have a wall or ceiling texture to match? Feel free to ask any questions about my knockdown texture matching technique in this video? And if you’re new to my blog or YouTube channel? Welcome! My name is Paul and I’ve been a drywall and painting contractor for over 20 years. I’ll be sharing tips, tricks and how to videos for all of your drywall, texturing and painting needs. So be sure to hit that Subscribe button to keep up with all my latest videos. 🔴 SUBSCRIBE to my YouTube channel for more useful how to fix walls and skim coating videos! Never seen before Super Double Dog Secret Diy Skim Coating Tips and Tricks!